If you want to find the best 1911 recoil spring, you'll end up going through a lot of them. But to save you time and possibly some money, we've handpicked the five best available products currently on the market. Each of them has its own set of unique features and even some pros and cons. By the end of this article, you might have found the recoil spring you want for your gun. At the very least, you’ll have a good idea of what you are looking for. What is a Recoil Spring and What is it Used For? A recoil spring is a very vital part of a semi-automatic pistol. They are a central component of how it should operate. Not to mention, they also are linked to some common malfunctions within your gun. So, it’s important to be aware of that. 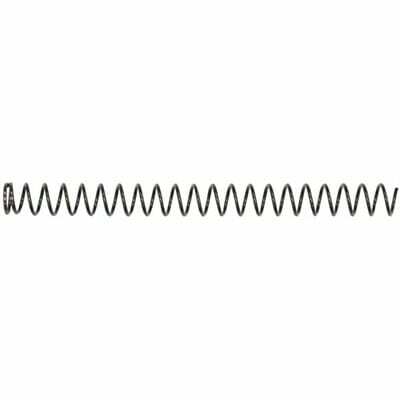 Without a recoil spring, your gun will be rendered useless. It would be like a car without a functioning engine. It’s always important to keep your pistol in good working order, especially if you’re using it or even carrying it. The recoil spring is indeed the heart of the 1911. Regardless if it’s a gas-operated, blowback, or short-recoil operated pistols, they all will depend on the recoil spring to function. Are All Recoil Springs The Same? This is a good question to ask. Are all recoil springs the same other than their ability to help a semi-auto pistol? The answer: it depends. Some of the differences may include, but not be limited to, the type of material that it's crafted from, length, or weight. While the function is the same, it may be different in some other aspects. This is something to keep in mind while you are looking for a recoil spring of your own. A good recoil spring will often be crafted from high-quality steel. If the recoil spring is extensively tested by way of heat treating or shot peening, odds are that it will be a very durable recoil spring. Durability and longevity are a couple of other things to consider before making a decision. Some manufacturers require you to change out the recoil springs after a certain number of rounds are fired. Not all recommendations are the same. One manufacturer might want you to change the spring after 1000 rounds, while others recommend that you change it after 5000 rounds. At the same time, consider how often you plan on using your 1911. If you use it frequently, you'll need to buy a spare recoil spring so you'll have one ready when it comes time to change it. Your factory recoil spring will usually cycle just fine with most rounds. But it may not cycle as well if you’re using either high-power or low-power rounds. It’s important to find a spring that can do a good job cycling regardless of which rounds you use for your 1911. 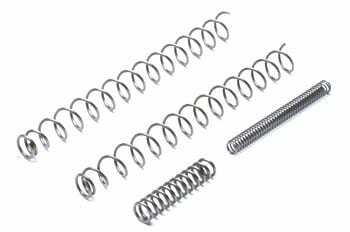 Below are five of the best 1911 recoil springs currently on the market. It is up to you to make the determination of whether or not one of them will become your next recoil spring. That’s why you should review each one of these items carefully before making a decision. The unique features for each one may be something you’re looking for in an ideal recoil spring. Our first recoil spring up for review is the Wilson Combat 1911 Custom Tune Spring Kit. For 1911 owners and enthusiasts, Wilson Combat is considered to be one of the more popular brands. So, it comes as no surprise seeing one of their items take the top spot in terms of having the best 1911 recoil spring. This item is made from the best in tensile spring steel. This assures that you’ll get a positive ignition, consistent smooth operation, and proper timing for your gun. Once you have this product installed, your 1911 will be custom tuned for reliability. The mainspring is used for reduced hammer tension, which allows cycling to be easier and reduces trigger pull by around 25 percent. The firing pin spring increases the tension of the firing pin to increase life expectancy and enhance safety in the event of the pistol accidentally dropping. The heavy-duty quality increases the feeding reliability while you're shooting factory loads. A heavy-duty, but lighter, spring is also available for lighter practice rounds. Wilson Combat’s offering proves itself to be worthy of being the best overall. If you want an item that is durable and does a great job of giving your 1911 that custom-made feel, you'll want a product like this. You'll be very satisfied with the reduced trigger pull and the enhanced safety feature that comes with the Wilson Combat. If you’re looking for a 1911 recoil spring and just so happen to be on a budget, don’t consider yourself out of luck. Because there are some items for your 1911 that you can get for a decent price. However, you should always hold quality to a high standard even if you’re looking for something that is not pricey. The ISMI is considered to be one of the best on the market for the budget conscious gun owner. This is a recoil spring that is designed for ultimate consistent operation and reliability. It is CAD designed and meets aerospace specifications of using chrome silicon or corrosion-resistant stainless steel for excellent consistency, durability, and reliability. This product is shot peened, heat treated, and fully stressed to ensure that it is the most durable on the market. If you think a recoil spring of this quality is a steal for the price it is, you’re absolutely right. This is arguably the best that you can afford for your 1911 without having to sacrifice quality. The ISMI is exactly what you’ll need if you’re looking for a product that will last you a great while and save you money in the long run over some kind of cheap option that will stop working after a short period of time. The ISMI is the top-dog in terms of budget recoil springs and for good reason. If it's crafted from the best materials and successfully passes the heat treating and shot peening tests, so you know that this will last you a long time. If you're looking for an option that may end up being the last one you'll buy for a while, get the ISMI. Next up, we have the Ed Brown 1911 Commander Recoil Spring. Ed Brown is considered to be a reliable brand for 1911 owners and enthusiasts. If you’re looking for a premium quality replacement, the Ed Brown might be your best option. Especially if you’re looking for one that can achieve a higher level of reliability and functioning. The constant rate design along the entire length helps keep the slide closed longer when you’re shooting heavy loads. This also reduces wear from battering and shortens the distance of spent casings. This is made from high tensile strength, round wire spring steel for superior durability and years of reliable service. The 18-pound recoil spring is the correct factory weight and is an excellent choice in restoring your pistol to original specifications. The 20-pound extra power option holds the slide closed a little longer to help solve the issue of the brass ejecting too far. One of the best things that stands out about the Ed Brown offering is that it is an easy to install recoil spring, which means you don’t need any gunsmithing skills to install it. It will take a little bit of time and you should be set and good to go. If you don’t want to waste time with complicated installations, then you’ll want to go with the Ed Brown just so you can install it quickly and watch it go to work. This should not be confused with the Wilson Combat 1911 spring kit that we've reviewed earlier. This is for the 1911 Commander. However, it does have the same functions as the previous Wilson Combat Spring Kit. The springs are produced from high-quality, tensile spring steel that is designed to give you a positive ignition, proper timing, and consistent smooth operation. If you want a very reliable 1911 commander, this is what you'll want. The mainspring is designed to reduce the hammer tension and allow easier cycling for your gun. You should be able to experience a 25 percent reduction in overall trigger pull. This also comes with a firing pin spring for extra power. This increases the firing pin tension, ensuring that the recoil spring will last a long period of time. At the same time, the firing pin spring will ensure that your gun will not accidentally discharge in the event of an accidental drop and having it hit the floor. If you're planning on firing factory rounds with your 1911 Commander, this is the type of product you want. You might know a bit about the Wilson Combat brand. You know that it's a brand that a lot of 1911 owners rely on. Some gun users would buy a recoil spring on the name alone. Sometimes, that might be a mistake. But, if you're looking for a product that will give you smooth operation and an excellent reduction in recoil, this might be the right choice for you. 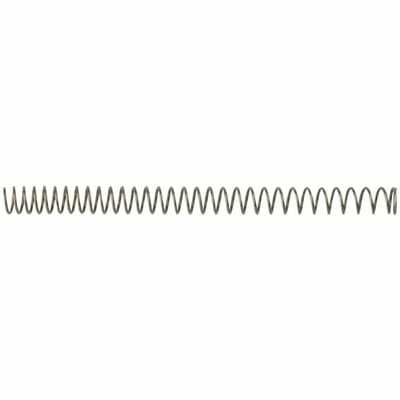 Lastly, we'll be looking at the Wolff Government Model Variable Power Recoil Spring. 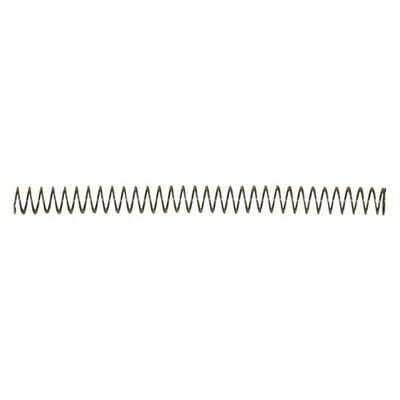 This product has a rate that increases as the spring itself compresses. This ensures optimal protection against the frame becoming battered and enables more consistency in lockup and improves feeding. At the same time, it allows for easier cycling of the action. This has a Recoil Re-calibration Pack that contains seven springs, each with different types of spring loading weights ranging from 9 to 16.5 pounds. This also includes three extra power firing pin springs. 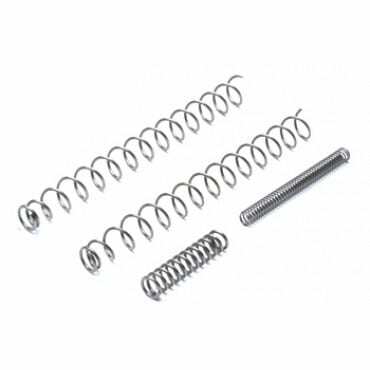 There is also an individual spring pack available that contains one variable power spring and one extra power firing pin spring. 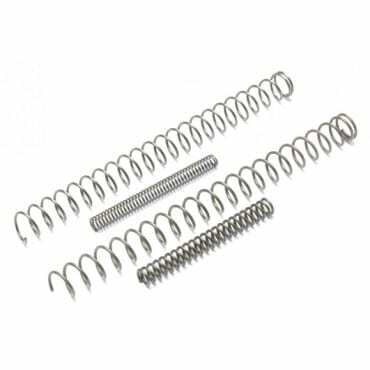 For a recoil spring to come with a package of different springs with different load weights, you get a wide variety to choose from. As mentioned, you’ll need to choose one that is most compatible with the round you usually fire. Other than that, this may be your best choice if you want to improve the overall feed of your 1911. Finding the best 1911 recoil spring comes down to knowing what you're exactly looking for. You'll obviously want one that will last you a long time and will be able to keep your 1911 functional. Without a good quality recoil spring, your 1911 is dead in the water. Choose one based on your personal needs and based on a feature or two that you consider to be a deal-maker.